We’ve all heard about the classics and assume they’re great. Some of us have even read them on our own. But for those of us who remain a bit intimidated or simply want to get more out of our reading, Christian Guides to the Classics are here to help. In these short guidebooks, popular professor, author, and literary expert Leland Ryken takes you through some of the greatest literature in history while answering your questions along the way. 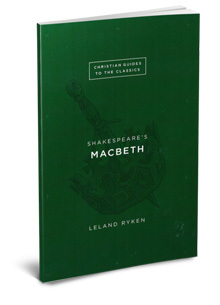 This guide opens up the last of Shakespeare’s magnificent tragedies, Macbeth, and explores the themes of temptation, sin, and guilt, as well as the keys to virtuous behavior.